Welcome to University Park, where natural beauty, lakes, golf courses, and magnificent homes set the scene for elegant country club living. This four-bedroom home in the Marlow neighborhood fuses grace, comfort and flawless details in a dreamy lakefront setting. Centered around a magnificent outdoor space, youll discover a superb attention-to-detail and distinctive finishes executed throughout the house. Impact windows throughout are just one of the many examples of the high level of finishes and attention to detail. Soaring ceilings, open spaces, and a wealth of windows are designed to overlook the lake with a long water view. Cook delicious meals for one or for many within the gourmet kitchen including Wolf ovens, Sub Zero fridge, and two dishwashers. Retreat to the tranquil master suite, a study in serenity. The master bath has been updated to include a graciously-sized shower with rain faucet, side jets and more. Providing extra space, youll appreciate a den and bonus room. Experience the outdoors in true Florida luxury with pool, spa, and outdoor kitchen to make an occasion of any meal. A three-car garage completes the picture. 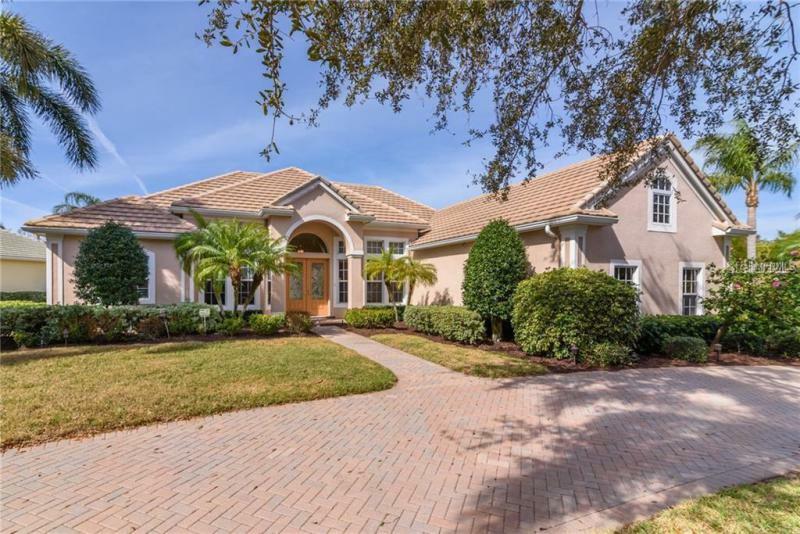 Located in central part of Sarasota, University Park is an easy drive from the shopping and restaurants of University Town Center, the arts and culture of downtown Sarasota, the festive atmosphere of Lakewood Ranch, and the world-class beaches of Floridas Gulf Coast.